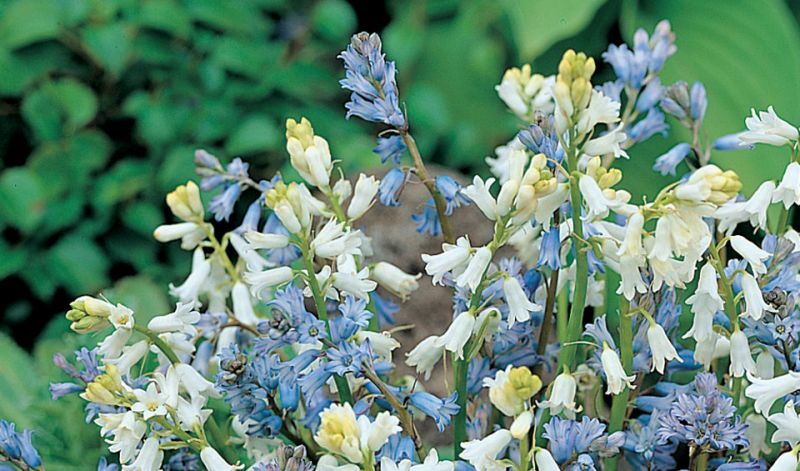 This plant is very similar to the Spanish bluebells (H. hispanica) and has at least 20 tube-shape flowers dangling from one stalk. In flower beds, borders and for naturalized areas. If you want them to bloom again next year the foliage must be allowed to die back on its own and will require consistent moisture while it does. (Some companion perennial plants like ferns or hostas will hide the dying foliage well). Once the clump becomes overgrown you will notice that it will produce fewer and smaller flowers and weaker and smaller leaves. Simply dig up the bulbs when the foliage has almost died down. Divide, respace and replant them right away and they are good to perform for another 3-4 years. (Besides the species itself); 'Albus' (white).